WrestleMania is the perhaps the biggest PPV in the history of sports entertainment. Fans across the world look forward to this event every year. An event of such a high stature deserves the best wrestlers in WWE to make it legendary. And speaking of the best wrestlers, one of the first names that comes to any WWE enthusiast's mind is Seth Rollins. Rollins is one of the top performers in the WWE. His match at WrestleMania is something every person intends to watch. Naturally, WWE would love to book him against someone who is equally as good as Seth Rollins is. 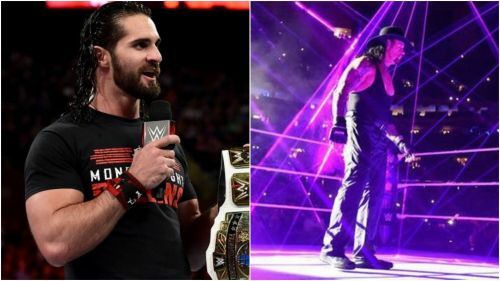 Even though WrestleMania 35 is still far away, here are three possible wrestlers against whom Rollins can square off against at the PPV. Speaking of WrestleMania, the first name that pops up in mind is that of the Undertaker. To date, he has won 24 out of his 26 matches at WrestleMania and lost only twice. He is likely to have one last match at WrestleMania 35 before he officially hangs up his boots. 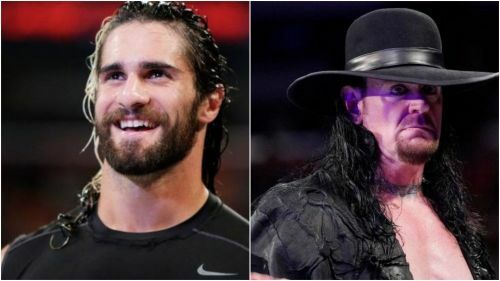 Keeping that in mind, the best possible opponent for Undertaker at WrestleMania should be Seth Rollins. Rollins is a big time player, and, knows how to convert an ordinary match into a dream match. A chance to face the Undertaker would be like a dream come true for him. This match could become the most important match in his career. If he can defeat the Undertaker, he would be able to etch his name among the list of all time greats. On the other hand, Undertaker would love to defeat someone as talented as Rollins. It would be a win-win situation for either of them. Let's hope this dream becomes a reality at WrestleMania 35.